According to Fox News this morning, a contact near O’Keefe says this definitely did not have to do with wire tapping. 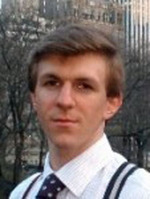 And while that was being revealed, the FBI was putting forth a threat of a prison sentence of up to 10 years for O’Keefe and the others involved. Considering Landrieu pimped herself and her state for 300 million to the Obama administration, this is rich… An intrepid reporter who posed as a pimp being set up by a political whore… Who would’a thought it? O’Keefe, 25, already was in Landrieu’s New Orleans office Monday when Robert Flanagan and Joseph Basel, both 24, showed up claiming to be telephone repairmen, U.S. Attorney Jim Letten’s office said Tuesday. Letten says O’Keefe recorded the two with his cell phone. In the reception area, Flanagan, the son of acting U.S. Attorney Bill Flanagan in Shreveport, and Basel asked for access to the main phone at the reception desk. After handling the phone, “Flanagan and Basel next requested access to the telephone closet because they needed to perform work on the main telephone system,” Letten’s office said. The men were directed to another office in the building, where they’re accused of again misrepresenting themselves as telephone repairmen. They were arrested later by the U.S. Marshal’s Service. Details of the arrest were not available. A fourth man, Stan Dai, 24, was also arrested, but Letten’s office said only that he assisted the others in planning, coordinating and preparing the operation. I watched Glenn Beck yesterday and on his Compare and Contrast segment showing the similarities between Chavez and Obama, he spoke of how they handled dissidents. Discredit them, demonize them and arrest them. Obama had only done the first two – looks like he just graduated to the third. Andrew Breitbart and Big Government will bring the truth out on this, because they’ll do the real journalistic work that the media can’t be bothered with. The lesson learned from all this is that if you go after the Chicago boys and their cronies, the government will come after you by hook or crook. Let the hunting of patriotic American dissidents begin – Veritas! This entry was posted in American Revolution, American Stuff, Authors, Constitution, Financial, Founding Fathers, Politics, Survival, Terresa Monroe-Hamilton. Bookmark the permalink.